Hunter's Moon by Nancy Glazier ~ Feel winter's chill and thrill in the mood and mystery of Glazier's stunning "Hunter's Moon". 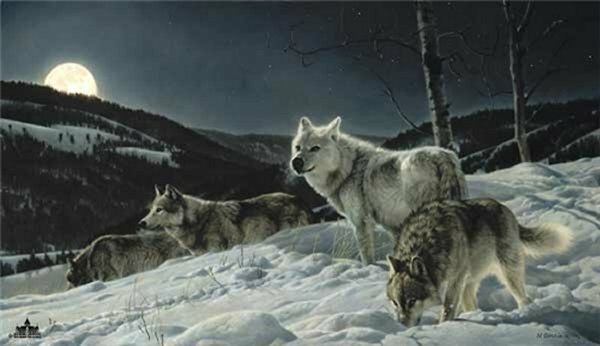 "I imagined a time when wolves roamed wild in Montana," Glazier remembers. "I placed them in this setting wiht that special Montana snow and portrayed them as getting ready for a hunt."